Simon’s focus is on strategic play both at an industrial and global level. He is the author of multiple reports including Clash of the Titans: Can China Dethrone Silicon Valley?, a pioneer in the use of topographical intelligence within business, a former executive and an advisory board member for several successful start-ups. He has twice been voted as one of the UK's top 50 most influential people in technology. Simon has spent the last 20 years defining future strategies for companies in the FMCG, Retail and Technology industries. He is a passionate advocate in the fields of strategic play, organizational structure, open source and leadership and is a regular presenter at conferences worldwide. 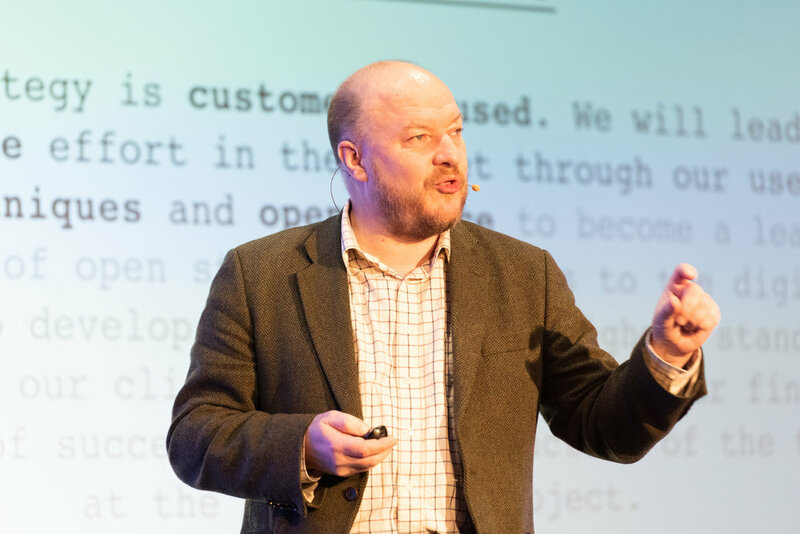 Simon Wardley, Leading Research at Leading Edge Forum delivered a strategic presentation around his strategy mapping method ‘Wardley Maps’ and explained that if an organisation map’s their strategy, they will be more proactive, focused, productive and therefore more competitive.